The seeds autoflowering marijuana Zkittlez OG Auto are the maximum exponent of the American genetics in autoflowering version. A creation of Barney's Farm that arrives with absolutely amazing yields and delicious sweet and fruity flavor that will not leave anyone indifferent. 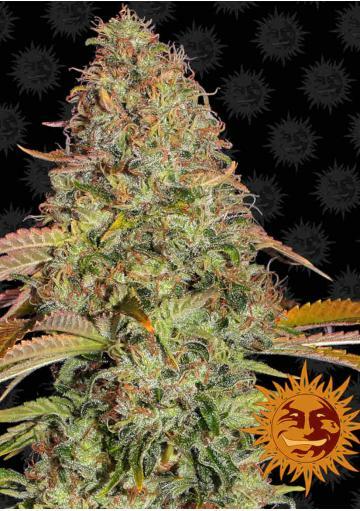 The autoflowering marijuana seeds Zkittlez OG Auto are a creation of Barney's Farm seed bank obtained from the combination of the best American genetics. The result of the cross between Zkittlez and OG Kush, this strain offers amazing yields and a unique and delicious fruity taste. Zkittlez OG Auto is a strain that is very easy to grow and extremely resistant to crop pests, fungi and cold. Ideal for growing in confined spaces, this strain has a hybrid structure and its height should not exceed 130cm. At the end of flowering, the Zkittlez OG Auto offers buds full of trichomes, which resin has medicinal properties. Among other properties, this strain is ideal for relieving pain. These medicinal properties are mainly due to their intense effect. Zkittlez OG Auto is a strain with high levels of THC, which offers an intense relaxing and sedative effect. For this reason it is a highly recommended strain to consume at the end of the day. The production of Zkittlez OG Auto is very high, if we bear in mind that it is an autoflowering strain that is ready to harvest in 70-77 days from germination, both indoors and outdoors. 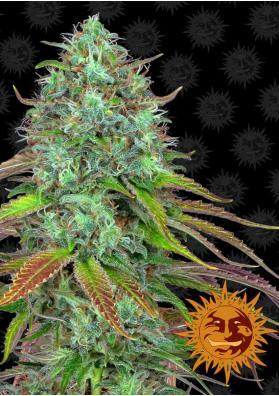 This strain, in mother earth and with the help of sunlight, can reach yields of up to 400 grams per plant. In the interior, with the help of lights, is a strain that can reach 600 grams per square meter. Zkittlez OG Auto highlights the contribution of its genetics to its aroma and taste. It mainly highlights the sweet and fruity nuances, with special emphasis on berries, grapes and tropical fruits combined with a touch of citrus. Full cycle: 70-77 days on indoors and outdoors.